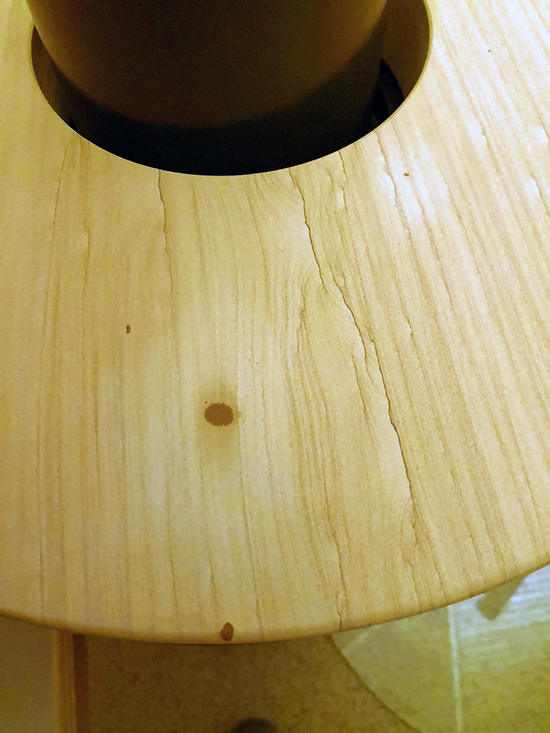 How do I remove a stain on the sandstone top of my wood burner? One of our clients wrote to ask us how to clean the top of his Danskan stove as it has with a lovely sandstone top but he had got a stain on it.. He was delighted with the stove - but sent us an email asking us what you would do to remove a stain from the top of the log burner. He had actually placed a couple of bits of wood on top of the stove - and the wood had carried on drying in the hot atmosphere. As the wood dried out it deposited some yellow stained liquid on to the sandstone. You might wonder how this happened. The woof is - as you probably know - covered in a protective bark - much like our skin. Underneath this layer is a thin layer called cadmium - these are the cells producing growth and grow rings visible when a tree is being cut down. The actual body of the firewood consists of 2 parts - sapwood and heartwood - the sapwood is often lighter in colour and consists of a lot of hollow tunnels transporting water in the live tree - whereas the heartwood is darker and denser adding density. Some of the stained liquid ran through the sapwood on to the top staining it. It is always best to use a moist cloth with a small amount of washing up liquid when cleaning natural stone. You can then rinse off the remaining soap deposits with a clean cloth. Severe grease stains can be removed very carefully with acetone, but you need to take a lot of care and select an inconspicuous small area first to test the effect - and let this dry fully before you proceed - any natural stone will have a fairly porous surface and can also be prone to scratches and marks - It can also be worth noting that marks and dents on furniture can be regarded as patination and treasured - sometimes I regard certain marks in my home with a warm feeling - as they remind me of memories housed in the building and unique to us!